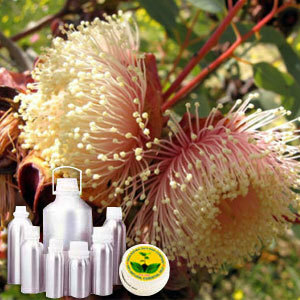 Eucalyptus is a different genus of flowering trees in the myrtle family, Myrtaceae. It is an extensive source of wood and Eucalyptus CO2 Extract Oil is used for cleaning and functions as a natural insecticide. Further, it can also be used to drain swamps thus reducing the risk of malaria. The main chemical components are a-pinene, b-pinene, a-phellandrene, 1,8-cineole, limonene, terpinen-4-ol, aromadendrene, epiglobulol, piperitone and globulol. A top note with a strong pungent aroma, Eucalyptus Globulus has an herbaceous scent with woody undertones. Eucalyptus CO2 Extract Oil normally blends well with benzoin, thyme, lavender, lemongrass, lemon and pine. Owing its properties of fast growth, this tree is mainly used for its wood and has various desirable features for use as ornament, timber, firewood and pulpwood. It is also used in a number of industries, from making fence posts to charcoal and cellulose extraction for biofuels.